An average adult brain weighs 2 percent of a person’s total body weight and uses about 25 percent or more of the body’s total food energy (mostly carbs)! Above all other organs, food affects the brain the most – for better or worse – so it is essential to choose the foods that support optimal brain health. Let’s look at what you should feed your brain for optimal health, but first, we’ll take a quick look at how the brain cells function so you understand the impact food has. There are over a trillion cells in the brain, 100 billion of which are neurons, or brain cells. Each cell contains different structures with specific job functions. These structures are made of raw material from the food you eat. Your brain needs high-quality nutrition for energy, cognition and learning. The function of the brain cell is to produce energy for your body. Your brain cells turn glucose in the blood into energy, helping to create substances that help the brain think and repair itself. The cell membrane is a filter that lets the good stuff into the brain cell, while blocking the bad stuff out. It is constructed from nutrients like omega-3 fats and antioxidants. Electrical impulses travel down the axon, causing it to release neurotransmitters. The neurotransmitters carry messages between cells. The axon is covered with a fatty layer called the myelin and speeds up the communication process between the two cells. Since myelin is a fatty layer, omega-3 fats in the diet will positively impact the rate and quality of communication. Your brain burns 25 percent of your food intake, most of which is carbohydrates. 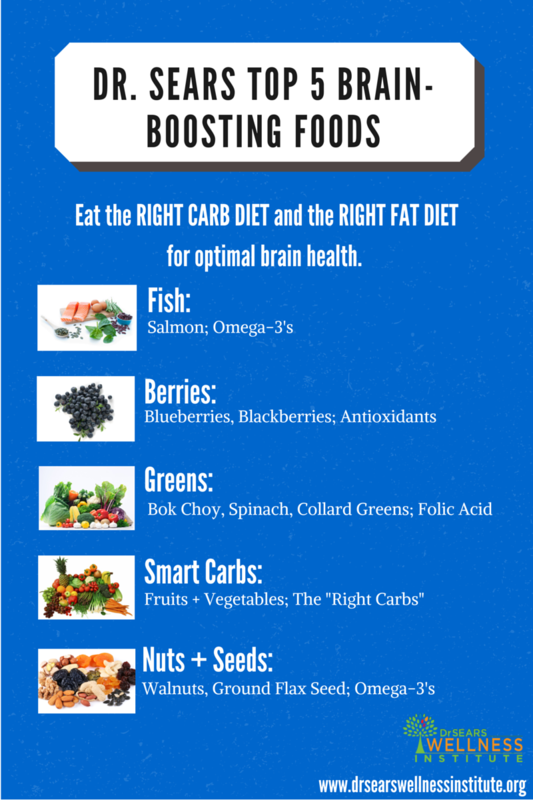 Your brain is also made up of 60 percent fat, so you need the right carb diet and the right fat diet. Your goal is to consume a diet that provides a balanced and steady supply of the right carbs and the right fat so your brain can function optimally. Your brain burns more omega-3’s than any other organ in your body. Omega-3’s are the nutritional building blocks of the brain. They make myelin, the fatty sheath that surrounds the nerve cell, which helps speed nerve impulses and helps you think faster. Fish is an excellent source of omega-3. 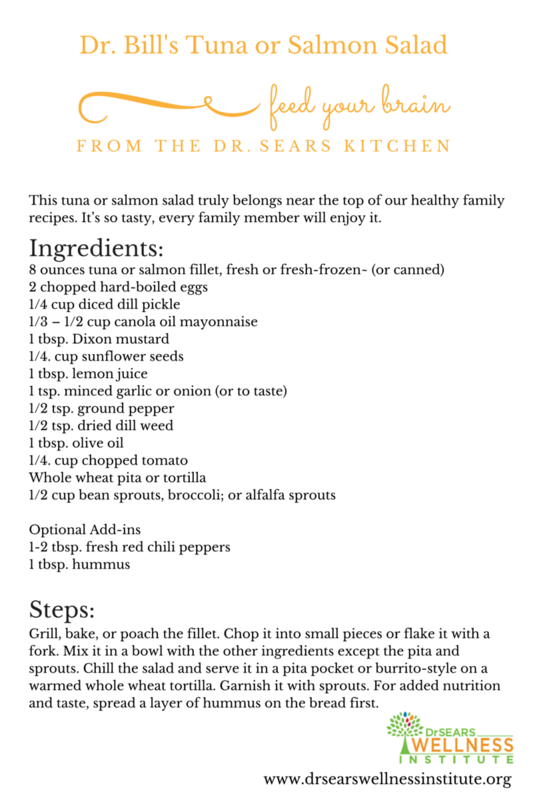 Studies have shown that eating two servings of salmon each week can lower the risk of stroke by 50 percent! Blueberries and blackberries have high levels of antioxidants, which keep the blood brain barrier healthy. Blueberries have been linked to improvements in memory and the reversal of some degenerative changes often seen with aging nerve tissue. They also protect your cells from wear and tear from inflammation and improve blood flow by decreasing excessive blood clotting. Similar to berries, green vegetables like bok choy, spinach, collard greens and asparagus are rich in folate (or folic acid), a nutrient for preserving neurotransmitter function. While the best sources of folic acid are green leafy vegetables, lentils, kidney beans, avocados, chickpeas and artichokes are excellent sources as well. Your brain is a “carbo hog”. It needs a lot of the right carbs to function. Unlike other organs in your body, the brain doesn’t store glucose – it needs a constant supply – and it only uses glucose for fuel, not protein or fat. That means your brain needs a constant, steady supply of the right carbs in order to perform optimally. Think foods that come from nature like fruits and vegetables, not packaged and processed carbs like crackers and cookies! Walnuts and ground flax seed are an excellent source of omega-3’s and should be included in any brain-healthy diet. Raw nuts are one of the most nutrient-dense foods you can eat. They are high in protein, healthy fats, fiber, vitamin E, calcium and many other vitamins and minerals. Go nuts!